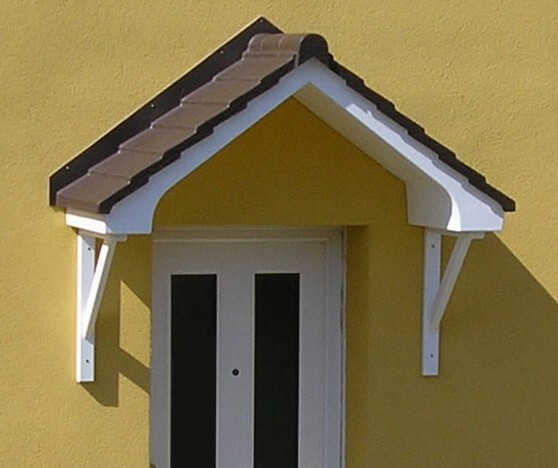 The Bovey Over Door Canopy is an apex style of canopy which provides a generous sheltered entrance area. 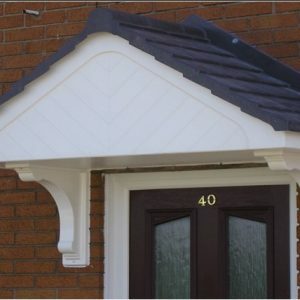 Manufactured from strong, low-maintenance Glass-Reinforced Plastic, it has a white base incorporating the fascia and soffit, and an attractive reproduction tiled roof (available in grey, brown or terracotta). 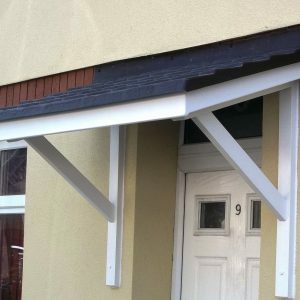 This Over Door canopy is available in projections of 0.6m (brackets optional) and 0.85m (brackets required) with widths of 1.58m and 2.08m – perfect for any entranceway. 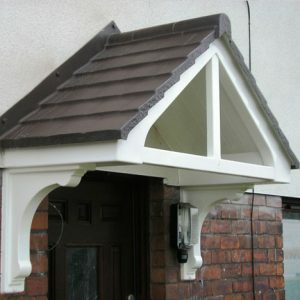 The canopy is easy to install and comes fully assembled. 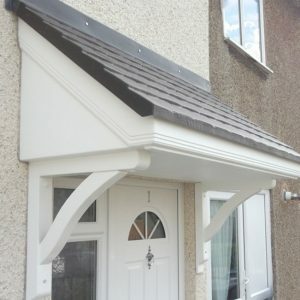 Please Note: Some canopies DO require brackets for additional support, however optional brackets can be added for aesthetic reasons for all sizes. Please see the Brackets tab for more details. 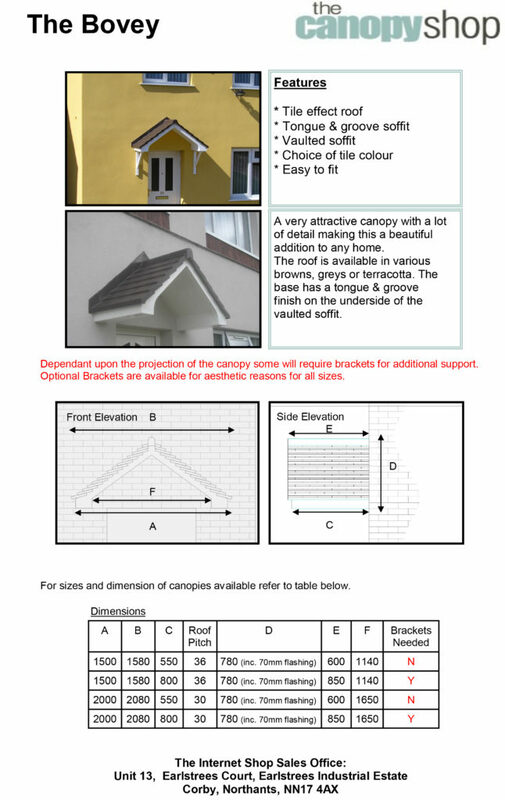 Click here to download our The Bovey Overdoor Canopy assembly instructions. 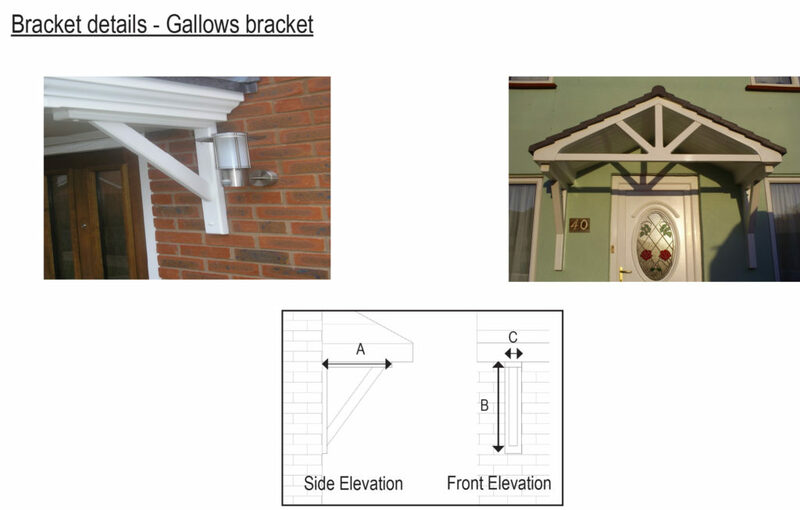 Brackets are required for the larger projection of 800mm on Barlow overdoor canopy. 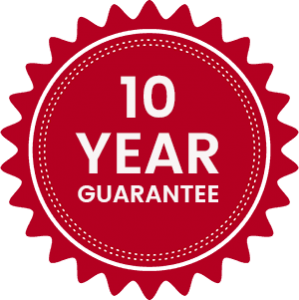 For the smaller projection, brackets may be purchased for aesthetic purposes.